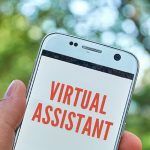 How to be a Pro while choosing your first Virtual Assistant? Are you a small-scale or large-scale business maker who is constantly in a race of combating deadlines? In short, you are facing the race against time real hard and there is something that you definitely need to do about it. Reducing your work hours and thereby, reducing your general productivity and growth might not be an option, there is another better and efficient method to get stuff done, be a pro in time management and breathe free. 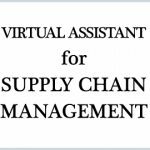 Hire your own capable Virtual Assistant (VA) to share your workload. By hiring the right VA you can increase your efficiency while leaving some time for yourself as well. 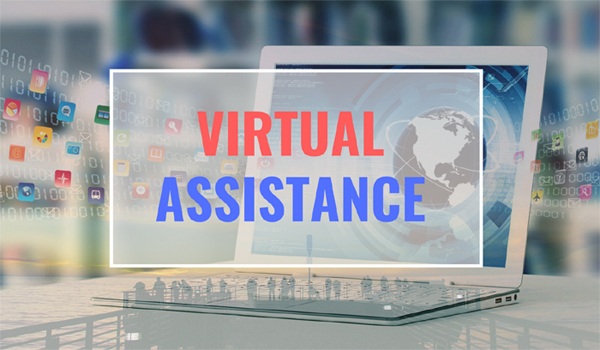 In this article, we will discuss few useful tips on how to hire your first VA.
Who is a Virtual Assistant in a real world? They may have different educational and business backgrounds. However, what they have in common is a tentative accumulation of several years of business experience in the real or ‘non-virtual’ world. A general Virtual Assistant could either be an administrative assistant, personal assistant or a sales assistant. While hiring a ‘perfect’ Virtual Assistant might seem like quite a daunting task that overwhelms you, remember that the effort you put in is totally worth the pains. Here is a list of pros that you can look forward to. Gets work done a hell lot faster. Gets work done real good even on topics that you might not be knowledgeable about. Gets work done even when you are not willing to do it yourself. Lets you have free time for other activities or business deals to make more money. Reduces a lot of stress by division. Helps you learn to structure and organize as a team. When is the right time to hire a Virtual Assistant to share your workload? This is totally up to you and your working and stress acceptance capacity. If you think that the workload is proving to be too heavy, consider a Virtual Assistant. Don’t fret! Most people out there are under an impression that only they and they alone can do a particular job to perfection. This is hardly true. There are several others out there who can get the same job done equally good as well. Let go of your work no matter how attached you might be to it. Let your Virtual Assistant save the day and yourself, the time. Enhance and nurture your other passions in your newly acquired free time. Excel. Firstly, reread the subheading again and have real expectations. No one is perfect. That doesn’t mean your work won’t be done properly. Just be patient and calm with your Virtual Assistant. Set up well-written, precise and well-informing work details on your hiring website or through a portal, if you are using one. 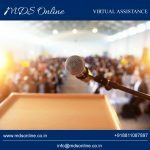 Include the expected work hours, possible salary, whether it’s performance-based or not, skills required, minimum qualification or anything else that you might be looking for in your Virtual Assistant. Ask for previous work experience from your applicants, if any and look through their Reference. See if they match up to the post you require. Sort out a candidate who seems to be a replacement for yourself, whether it be in terms of skills, demeanor or spirit. Set them a small task or test to fulfil. For instance, you can ask your Virtual Assistant applicants to write a short 250 word article on ‘What is your biggest failure?’ It’s a well-known fact that a person’s words are what define them. Through mere words, one can know volumes about their state of mind and attitude. As with your Virtual Assistant, loon for qualities like ‘passionate’, ‘optimistic’ and ‘go getting’. Write a nice old description of the work to be done and how. Be elaborate. You can even insert a simple password or task somewhere in the obscure middle and ask applicants to mention it during their application. This ensures that the rules have been read properly and to completion. Interview the person who you think is a good fit. This can either be a one on one, phone interview or a video chat. Discuss. Remember your first day at the job? Weren’t you lost? 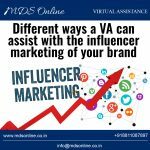 Be in the shoes of your Virtual Assistant, let him or her feel at ease in your company and give him or her some time to adjust to the new post. In case of mistakes (which there will be), be kind and courteous. Avoid undermining your Virtual Assistant. Explain to them what needs to be improved and better executed and give them a chance to learn from you. Prepare for a second round of the same mistake again. Recede to respectable admonishing this time round. Give him or her proper deadlines so as to enhance discipline on both ends. Expect rare misfires or emergencies on both ends. Remember that your ‘virtual’ assistant is also a ‘real’ man or woman with real life bothers or problems. That being said, prepare well for such unusual situations. Plus, establish a good and amiable but formal relation with your Virtual Assistant. While an occasional word or two about the weather or latest movie might be cool, remember the narrow line between ‘professional’ and ‘personal’. A fraction of a second is what separated a runner-up from the winner in an Olympics dash. Therefore, there is not a single soul in this world who isn’t aware of the value of time in his or her day-to-day life. With the help of helpful and efficient Virtual Assistants, you can enhance your business beyond the regular heights. Use these tips to hire your first VA and you are ready to take off.